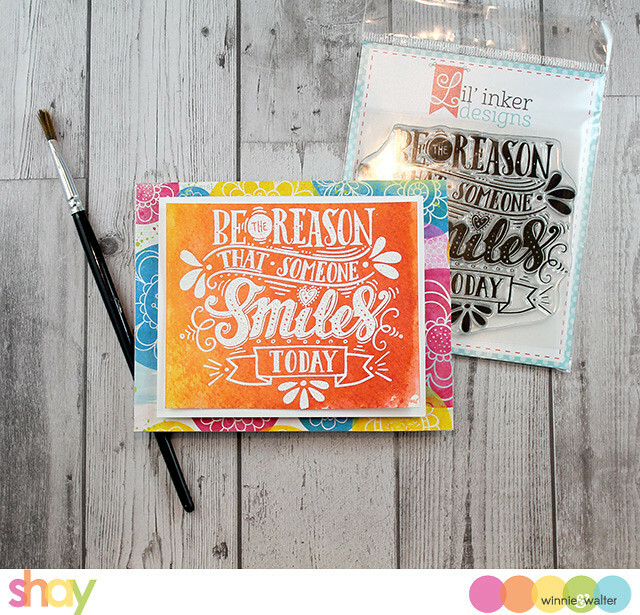 I am really happy to be able to participate in this blog hop as I have been a long time admirer of Lil' Inker Designs and had the pleasure of receiving the gorgeous and uplifting Be the Reason Someone Smiles Today stamp set when I went to Stamping Away earlier in April (I had to pinch myself that I was there with such incredible woman that I admire for not only being amazing crafters, but amazing women. I may be dating myself, but I felt a bit like Wayne and Garth bowing and saying "We're not worthy!" when they met musicians they idolized. lol). Remember if you get lost or need to start from the beginning please CLICK HERE. I made two simple cards for you today. I played with water, inks and embossing powder on watercolor paper for the cards. For the black embossed card I went with cooler colors and emphasized the "today" by cutting it out from a reject panel I had embossed (don't throw away those less than stellar tries!) and mounted it all on a piece of patterned paper attached to a card base. On the second card I colored in warmer tones with white embossing powder and trimmed closer to the image before adhering it to a white panel and then to a vibrant patterned paper covered card base. As this stamp is so stunning you really don't need to do much! Your next stop is at the incredibly talented Jessica Frost-Ballas's blog! Please do not forget to comment on each stop for a chance to win some awesome prizes from Lil' Inker Designs! Gr8 stamp and cards ! Hi there!! Well, this is the coolest day ever!! Thank you SO SO much for the excellent post and compliment and for sharing your work with this LID stamp with your customers and fans. It's so greatly appreciated. Your work here is beautiful and it was really so incredibly wonderful of you to participate in our hop today. I can't thank you enough! THANK YOU!!!!! Love this stamp and you did it proud! Beautiful cards :) gorgeous backgrounds and I really adore that sentiment. Wow! These are all so beautiful! I love all this creative inspiration, and the pretty ideas you have shared! Wow! Gorgeous cards!! I love that you just kept them simple to let the wonderful sentiments shine! Wonder card, love all the bright colors. Great stamp too. Wonderful cards with the embossed sentiments. These are gorgeous! I love how you highlighted "today". Beautiful colors, too, and the backgrounds are perfect. What a wonderful sentiment - and two beautiful cards! I really like this statement-making stamp and the fun techniques you used to make it pop. love that saying and the awesome cards you made with it! Love the special ways you treated the sentiment! You really made it your own. That patterned paper background is fabulous with the warm colours. You come up with the best ideas, Shay--love these cards! What a great stamp & the first card makes me think the Scenery Stripes stamp set I just got! Thanks for the inspiration! Such a great sentiment, pretty cards. Wonderful cards. I am loving the vibrant orange one!! Great cards! Love the sentiments in the new release! Beautiful cards! Love how the sentiment pops off that gorgeous watercoloring! 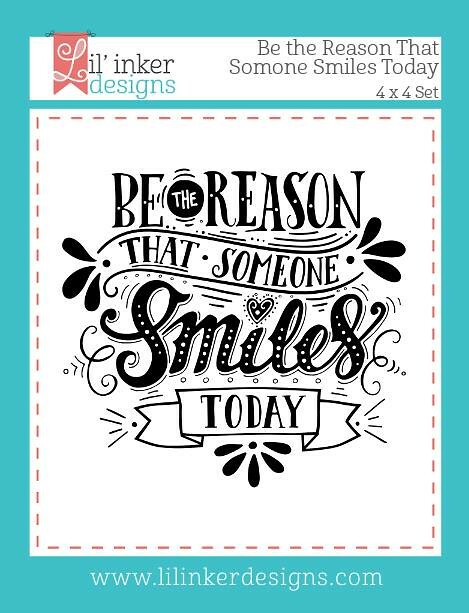 I just love these pretty sentiments with the mix of fonts! Great backgrounds and colors on your pretty cards! These large sentiment stamps are fabulous. I love the black and green combination. I really love the message on this card! Guess I need this stamp set! Awesome card! I need this stamp set - Perfect for making a card for a friend who is going through tough times! Love the message! I love your second card with the beautiful patterned paper! Fantastic! The white really pops on the first card - great idea to use all of the pieces from different attempts! The card really draws you in. The second card is just as cool! I always like the way embossing shows up on a colored background and the white border before the patterned paper really makes it the focal point! You've shown us that a fabulous inky background in whatever color we choose is all we need to show off that wonderful sentiment. Great cards, the colors are wonderful and the embossing just pops! Great colors on all your cards - I love the idea of embossing these stamp images! These are gorgeous! I love Winnie & Walter and I love Lil' Inker Designs, so happy you got to play with LID! What a beautiful scripty stamp - you've shown it off perfectly with your two lovely cards! Wow! Both these card are simply stunning!!! I love so much the background! The colouring is absolutely gorgeous!!! How fun that a bunch of you get together for a stamping retreat, Shay. Both cards are beautifully done with your embossing and color combos. Recycling from your "almost" trash is an added bonus to your first card. I love the message of this stamp set and your cards display it perfectly. It's a Wow! Love the stamps too! So cool to see how it looks in both black and white with such gorgeous backgrounds!! FABULOUS cards, Shay!!!! Just like I said at the craft house----you are the Queen of Techniques!!! 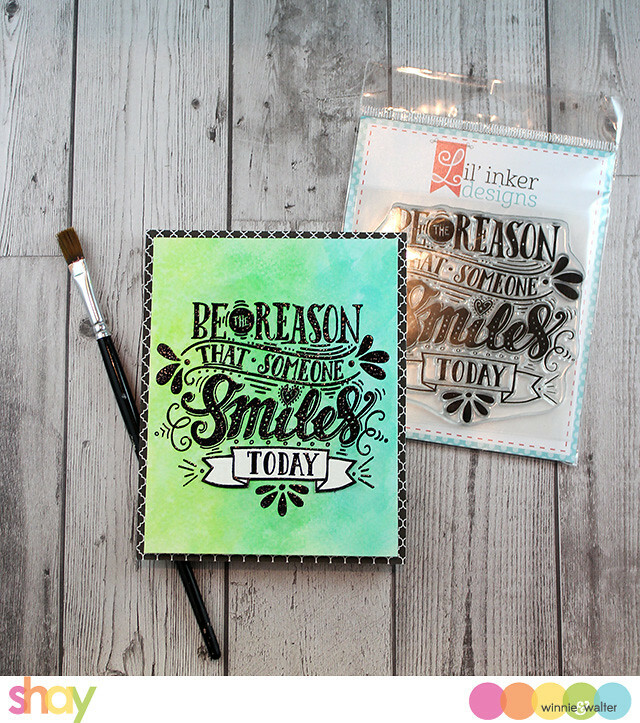 Love this sentiment and the bright happy colors! Such pretty cards and love how you used a "reject" piece.